Paulson, J. (2010). 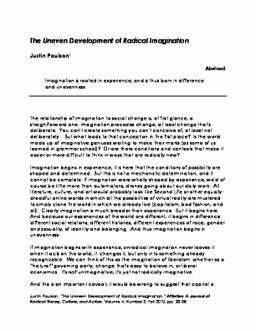 The Uneven Development of Radical Imagination. Affinities: A Journal of Radical Theory, Culture, and Action, 4(2), 33–38.